Straight hair is all the rage nowadays. The hairstyle has some kind of charm that allures both ladies and gents- well not actually gents, but overly melodramatic teenage guys who listen to “Galliyan” all day- to adopt it. 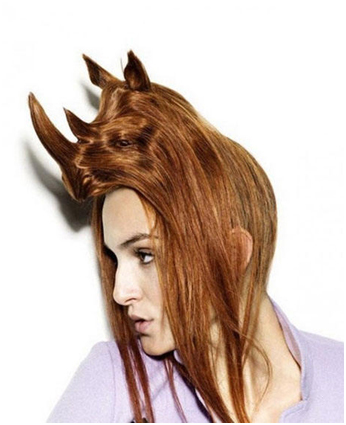 And top notch hair specialists use the exact component that makes up the Indian Rhinoceros’ horn for styling the hair – keratin. Yep, that’s exactly what I’m talking about. 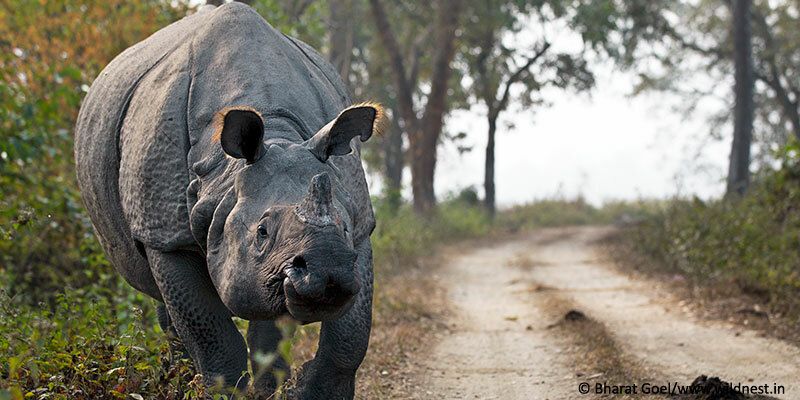 Except that this rhino has only one horn. Keratin, derived from the Greek word “keratos” (not the same as Kratos, the angry warrior guy from God of War who killed everyone for no apparent reason but was damn good at it) meaning “horn like”, is a nexus of fibre-structured proteins commonly found in hair and nails. 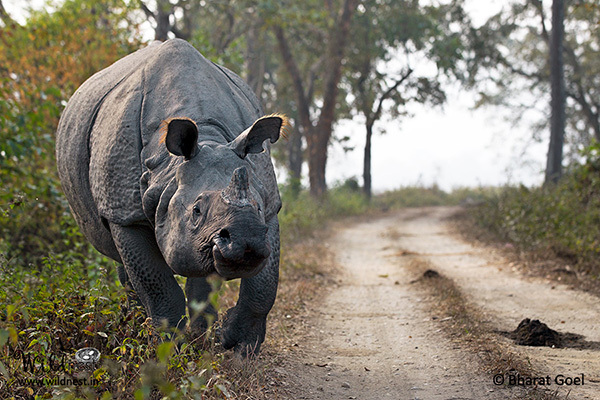 The Indian Rhinoceros possesses a black horn that is comprised exclusively of keratin. In other words, your perception of a rhino having an adamantine horn is completely misguided. Instead, it is made up of the material that Sonakshi Sinha applies to her hair for the silky look. And if you thought I was going to make a joke about her size just because her name and the term ‘Indian Rhinoceros’ are used in the same paragraph, you’re mistaken again. I mean, seriously. Note: do not try to be funny by going to the local zoo with a nail cutter to chop your friendly neighbourhood rhinoceros’ horn. It may be hazardous to your health. 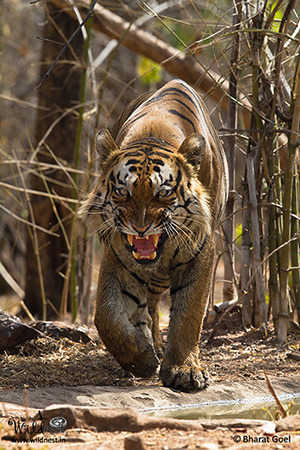 One roar and the entire tourist population of Ranthambore would surrender all their pens. The Royal Bengal Tiger is a beautiful subspecies that possesses a dazzling coat of yellowish orange with dark black stripes, and is a carefully selected candidate for the post of the national animal of India. Yes, most people are aware of this fact, but what they don’t know is that this sleek creature’s thunderous roar can easily cover a distance of two kilometers. If you don’t find that impressive, maybe you should consider that your voice can’t even reach your friend who’s sitting three desks away when you need a pen. Another awe-inspiring fact about this chivalrous animal is that it can easily kill creatures twice its size with the razor sharp jaws it has inherited from its ancient ancestor, the saber toothed tiger. It is said to be able to kill 30 buffaloes in a year, and has the ability to consume 21 kilograms of meat in one night. I also hereby state that I do not in any way allude to any actress mentioned before in this article. 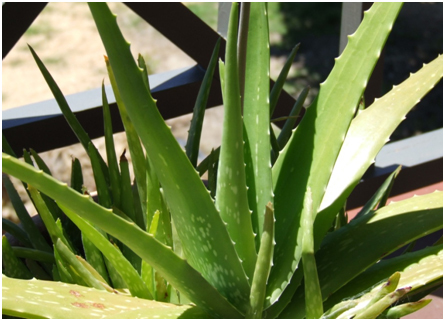 Apart from being a complete badass in the sense that it can thrive in your garden even if you don’t water it for days, an aloe plant produces at least six antiseptics that can successfully defeat mold, bacteria, fungi and viruses. Research also says that the plant has potential to battle AIDS and cancer. And it’s free. What do you have to say to that, Apple and Samsung? This thing right here is more equipped than SRK in Baadshah. The herb is quite rightly known as the plant of immortality. Its uses range from healing the smallest of burns affected while cooking food to relieving arthritis pains. It has great renown for treating skin problems such as rashes and pimples, and increases the speed of hair growth as well as its silkiness when applied on the head – just so you have an alternative to rubbing your skull on a rhino’s horn. The Native Americans called it the Wand of Heaven, and Cleopatra herself used it to look young and attractive. Its leaves have been known to have a great impact at alleviating asthma when consumed with boiling water. To round it up, you should feel ashamed of that 15k mobile you roam around with. Mews, because a dog making cat sounds is totally legit. Yep. 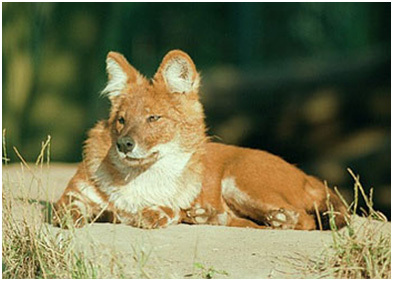 A dhole usually hunts in packs, and is capable of defeating prey over 10 times its own body weight in such a scenario. It is bold enough to have a go at boars, buffaloes and even tigers. Also, the dhole has incredible swimming prowess and often drives the prey into water for an easier kill. Apart from having every reason to boast, it is a humble animal and always lets the pups eat the kill before joining the feast. What more would a dog want to be? 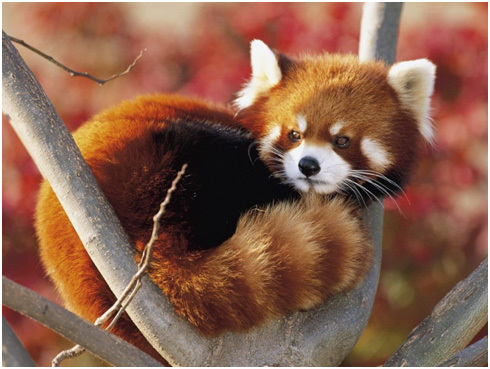 The red panda is a small cat like mammal that lives in the Eastern Himalayas. They are primordially arboreal, ie they spend most of their time up on trees, jumping from branch to branch and taking the casual nap. However, its name is quite misleading as it isn’t closely related to the giant panda (ailuropoda melanoleuca); but it wasn’t until the turn of the century that panda enthusiasts (also known as scientists) found out that red pandas form their own phylogenetic family alongside skunks and raccoons. What this basically means is that they resemble skunks and raccoons more than they resemble a giant black and white panda. The red panda is known to keep guys in awe and girls in aawwww. The red panda also has some other perplexing features. One of these is that it is a “herbivorous carnivoran”. It is a carnivorous animal, yes, but it usually feeds on bamboo leaves and shoots like a regular giant panda; rarely eating an egg or a bird. Another interesting characteristic is that a red panda has the ability to tweet. Like, not that it frequently posts updates on Twitter about its incredibly sagacious life journey, but makes a sound quite similar to a bird’s twittering. And that concludes our article on the five things that you may not know about the Indian wildlife. Do join us next time for more interesting and ludicrous facts. Also, your feedback is more than welcome – whether you think we missed out on a surprising fact that would make your top five list, or if you just appreciated the author’s subtle humour – drop a comment in the section below. Until next time then, nature lovers, au revoir!